Pre-emergent Herbicides are the best way to reduce and eliminate weeds in your lawn. Pre-emergent Herbicides work by preventing weed seed germination. They create a layer that kills the weeds as they try to push past the top layer of soil. The key to using pre-emergent herbicides is proper timing. There are two times of the year to apply your pre-emergent herbicides, the spring and the fall. 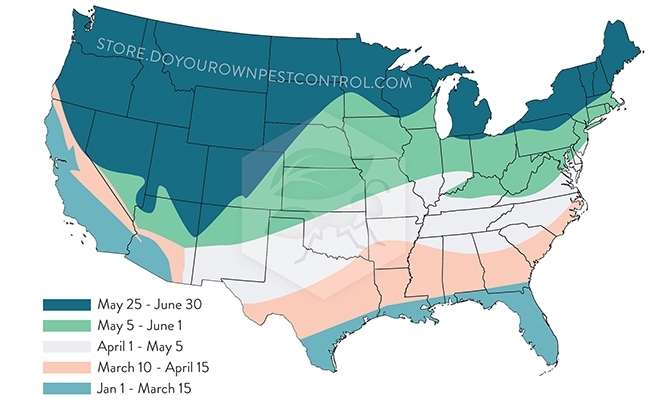 When to apply these during that time period depends on your geographic location, you can contact your local county extension for the best times to apply. Most spring and summer weeds will germinate when the soil temperature at 4 inches down reaches about 52 to 55 degrees F for three or four consecutive days. Early Fall Application: When applying pre-emergents in late summer and early fall we would recommend using the same products as Late Spring Application. This way you can control the already existing weeds and prevent any further growth. Mid to Late Fall Application: When applying pre-emergents in this part of the year we would recommend using the same products as Early Spring Application.